Every pre-owned Kia vehicle has to go through a rigorous 164-point inspection before it earns the title “Certified.” This means that everything from top to bottom and trunk to hood has been thoroughly tested – so you’re ready to roll! Kia Certified Pre-Owned (CPO) owners can cruise the open road with complete confidence knowing that their Kia Certified car comes with the industry leading 10-year / 100,000 mile Certified Pre-Owned Limited Powertrain Warranty. 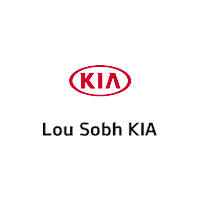 The Kia Care Service plan provides valuable prepaid maintenance services that help keep your vehicle running like new and qualified for your original Kia Manufacturer’s Warranty. Contact your dealer for more information about the services offered under the Kia Care Service Plan.